The first Judge Dredd movie sucked. There’s just no other way to put it. It was one of the worst blockbusters of 1995. In a year that included Batman Forever and Waterworld, that’s really saying something. 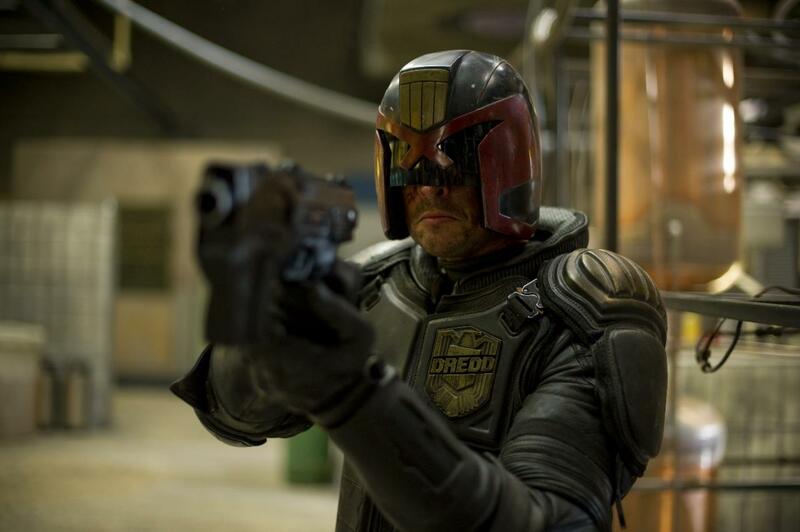 It marked such a low point for comic-book adaptations that any future Judge Dredd film could only be a marked improvement, no matter how bad it turned out. While the buzz on the upcoming reboot Dredd hasn’t been exactly promising, fans continue to hold out hope. That hope seems to have been validated by ten seconds of footage that was previewed by Machinima today. It comes from the trailer that will be premiering on Thursday. As incredibly brief as this glimpse is, it really gets the blood pumping. It’s a collage of strobing, slow-motion images set mostly to an escalating violin shriek. It ends with dreamy chimes reverberating as the title character grumbles the line “negotiations are over.” Though I recognize that it’s nothing but a parade of visual clichés, I can’t deny how great it looks. Dredd may end up being a visual treat if nothing else, which is much more than can be said for the Stallone vehicle. looks better than all the pics up to this point. i'm surprised.